On today’s Packet Pushers Weekly Show, we discuss Salt. Salt does many things, but our use case today is that of a network orchestration tool. Our guests are Seth House and Mircea Ulinic. Mircea has written about Salt in his Random Packets blog at https://mirceaulinic.net/. Seth first contributed to the Salt project six years ago and has worked for SaltStack for five years. He has worked on the core of Salt, done professional services and training, and now works on the enterprise product team. 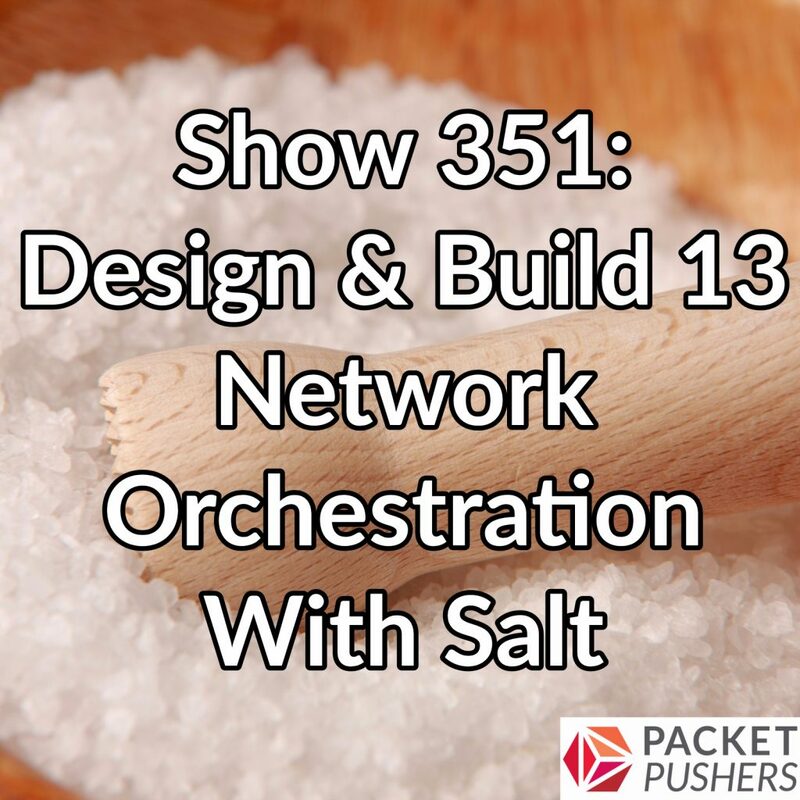 In this episode, we cover Salt architecture, operating a network in a Salt environment, handling Salt failures, and the many useful things you can do with your network once Salt is up and running. Enjoy this thirteenth entry into the Design & Build series! We go pretty deep. Links to ramp up your Salt knowledge.